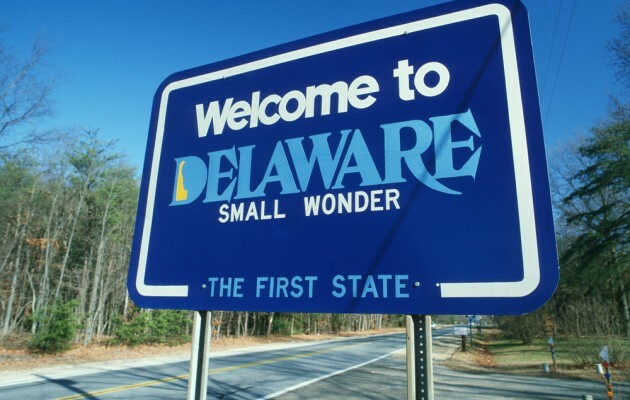 If you are forming a corporation for your business, it is become somewhat of a cliche that Delaware is the best state to incorporate. But is it really? This article looks at the pros and cons of incorporating in different states, giving practical advice for small businesses. A business can incorporate in any state it chooses. Typically there are two things to consider when incorporating in a state other than your home state: on the one hand, tax advantages or legal advantages, and on the other hand, the costs involved. Delaware is a good state for corporations primarily because it has an efficient and business-oriented court system that can cut the cost of litigation by a large factor. The state’s laws are pro-business, and its government machinery deals with business with a minimum of paperwork and delay. Furthermore, it has no sales tax, which is important for a national merchandising operation and is very important to a great financial business plan. But the advantages of Delaware may hold little value for your business. The majority of new businesses start small, and if this is your scenario, your first questions to consider are less about where to form your corporation or LLC. They should be more about if you really have any advantage in going out of state. If you have an Internet company that is not tied to a brick and mortar location, you obviously have some choices about where you base your company. If you’re actually prepared to relocate to a different state, then you certainly will be interested in a state such as Nevada with no personal income tax, as well as no corporate tax. Sales tax will also matter. That is why you may want to receive financial consulting, in addition to legal consult, in order to prepare your business for these various tax rates. But most business owners start where they live and do business principally in their own state. To do business in other states, a business needs to register in each state as a foreign corporation. “Doing business” usually means having a physical location or employees, or even a bank account, and sometimes simply taking orders. You have to pay filing fees and perhaps taxes, be subject to state law, file annual reports and maintain a registered agent, in each state. Unfortunately, it is not quite as simple as having a virtual office. So unless you have a clear advantage in being incorporated in a different state, it’s pointless to make yourself a “foreign corporation” in the state where you reside and work and have business property. You’ll still be subject to the taxes of your original state, and perhaps at a higher rate because you’re now a foreign corporation! Legal issues for a startup company or small business may not be a great concern, but it is important to ask if you can easily travel to the state in which you incorporate. Could you defend or pursue a lawsuit in that state? If you happen to live and do business in the capital city of a state, this may be the most convenient place of all to be incorporated. How small is a small business? The rule of five is a good guideline. If you have 5 or less employees or shareholders (or LLC members), and perform work in your own state, you probably are too small to gain enough benefit from incorporating out of state. And remember, as you grow and your concerns change, it is a straightforward process to change states. Having said this, do not get discouraged from considering other states to incorporate in. Everyday, companies have evolving concerns across the country, requiring paperwork to be filed in other states. If paperwork is a headache for you, a filing service such as SunDoc Filings can handle all your requirements in all 50 states. And, incorporating itself is an easy matter. The service help you to form a corporation, or form an LLC, in any state. Your planning beforehand is what matters most. If you do decide that there may be valuable benefits to form your corporation or LLC in another state, here are some highlights of the business landscape across the country. Ultimately, you will want to consult an attorney and accountant to make your smart business choice. But, these tips will get you started in the right direction. Delaware and Nevada are considered the most corporation-friendly states. The second state, Nevada, is strong on privacy of investors and protection of assets, as well as low fees and no taxes. Moreover, Wyoming is busy creating legislation to become an attractive state for incorporation. All three states are friendly to LLCs, including the troublesome single-member LLC, whose status is still not settled in every state. Among the business-friendly states, Alaska, Delaware, Montana and New Hampshire have no sales tax. This is one of the most important economic indicators for starting a business. Next, Florida, Nevada, South Dakota and Wyoming have no state income tax. Lastly, Texas, Utah and Washington are also worthy states to consider for incorporation. Wherever you choose to incorporate, it should be carefully planned to benefit the business. Of course, saving money on taxes and legal fees is nice. But, the business incorporation should not become a burned to the owner or operations. Just as there are some extremely corporate-friendly states, there are also some states that are not so corporate friendly. Places like Louisiana and Maryland. Louisiana has the absolute worst sales tax ranking in the United States, clocking in at almost 10% for state and local sales tax rates. Marlyand, on the other hand, has one of the best business tax climates in the U.S. However, they also have a pretty high corporate tax rate that deters many business owners from sewing roots there. Connecticut is another state that has high corporate taxes, high sales taxes and high individual income taxes. Make sure you avoid incorporating in these states if at all possible. When choosing a state to incorporate in, there are some important aspects that must be factoring into your decision. We will name a couple of the most important factors here for your convenience. If you consider these factors, you are sure to find the perfect state to host your corporation without the small business accountant. Considering these important aspects of incorporation will also prepare you for the little details of business that you would otherwise only think of when you realized they were problematic. Be sure to consider these factors when deciding the best state to incorporate your business.